Hi - I'm Laura, an A level educated PA / VA with experience in many aspects of business. 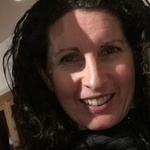 I am self-employed and able to work on a freelance basis from my home office or on site....Read moreHi - I'm Laura, an A level educated PA / VA with experience in many aspects of business. I am self-employed and able to work on a freelance basis from my home office or on site. I have worked as a PA for over 15 years and have been freelance for 10 years and have built up a base of clients. Excellent organisational skills with a confident and mature business manner. Adept at problem solving, I am happy to be fully involved in all aspects. Confident, capable and conscientious, I offer many years experience in business and I am both loyal and discreet. During my years working, I have gained financial, PR and sales experience and have also undertaken a lot of research into various sectors. I have run my own businesses, so I understand the necessity of a hands on approach and involvement within all areas. I offer traditional PA services such as word processing, creation and presentation of documents and reports, arranging travel, keeping busy diary and events management. I am highly skilled in finding personnel and adept in assisting with personal tasks for running a busy household. My typing skills are 70+wpm, I am computer literate with a very high level of English. Proficient in bookkeeping and accounts. I use various social media channels. I have my own home office with broadband connection, fax/scanner/printer and phone lines and am able to provide a professional virtual service. PA to MD.. as well as being involved in all aspects of the corporate side, I also organise the MD;s personal affairs. I have carried out a lot of research for this company into many sectors of business. Company Administrator - PR .. Set up and overseeing of all business systems, including company identity, financial accounts, bookkeeping, day to day running of client accounts, reports, research, liaison with press. Involvement in fashion events, launch parties. Jewellery designer and manufacturer. Working solely and highly motivated I ran a small successful business supplying accounts in London and Brighton. Operating a business I have dealt with administration, finance, sales, production control, business literature. Assistant Export Manager - Publishing company.. Organisation and daily running of export market for publishing company, liaising with and servicing accounts of international clients, trade exhibitions, stock control, financial reports, coordinator of warehouse staff. Description: Ongoing PA, admin and accounts support.